This is weird. A replica of the “Arch of Baal” was erected in DC one day before Kavanaugh’s show trial. The future of the U.S. Supreme Court is literally hanging in the balance, and many believe that it is quite odd that this ancient pagan symbol has been put up at this precise moment in time. 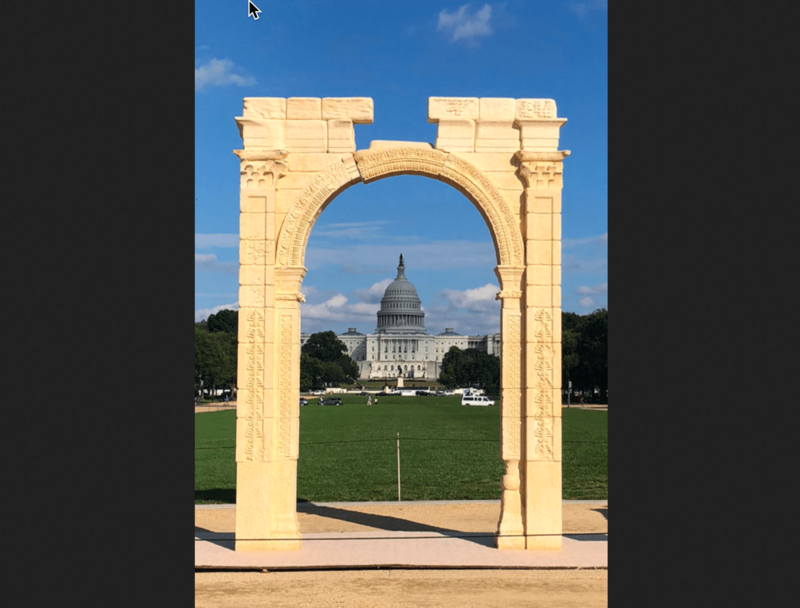 According to the official website of the Institute for Digital Archaeology, the Arch of Palmyra was unveiled on the National Mall on September 26th, and it will remain there until September 29th. You can view a photograph of the arch standing directly in front of the U.S. Capitol building right here. Just one day after this arch was put up, Brett Kavanaugh and Christine Blasey Ford testified before Congress. Perhaps this is all just a “giant coincidence”, but things of this importance usually don’t happen by accident. Jonathan Cahn, the author of The Paradigm, has pointed out that Baal was a god of power, fertility and child sacrifice. In this video, he makes a very strong connection between what was going on during the era of Baal worship and what is taking place in America right now. The Arch of Baal (née the Arch of Palmyra) was originally built and located in Syria, and destroyed by ISIS in 2015. Maybe it’s not so odd that the group responsible for this replica world tour have planted it in DC at this moment in time, given its connection to the current unpleasantness in Syria, our globohomo elites really are satanic.